Looking for a virtual reality experience, but don't know where to start? 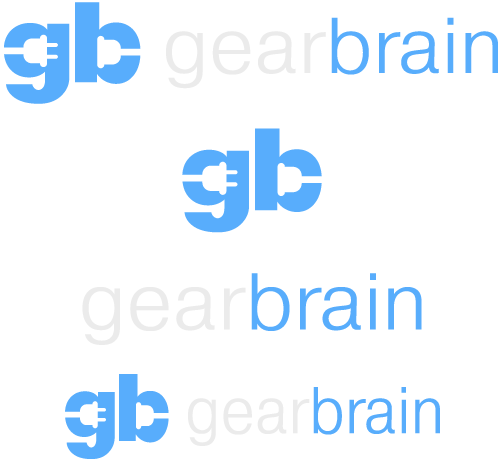 GearBrain breaks down the top 11 questions to ask before dropping some dough on your first VR or AR headset. 2019 will be a defining moment for virtual reality (VR), believes Stephanie Llamas, head of XR at research firm SuperData, who points to the Oculus Quest headset, scheduled to be released in 2019, and a potential deal changer. She projects that it will outsell the Oculus Rift more than three to one, and has the potential to bring VR into the mainstream. But how should people know which VR headset is right for them? Llamas recommends that people think about what they want to use VR for, and if they have the right hardware for the headset they choose, and if there's enough interest content for them on the market. We broke these down into 11 questions we think you might ask — and our answers. 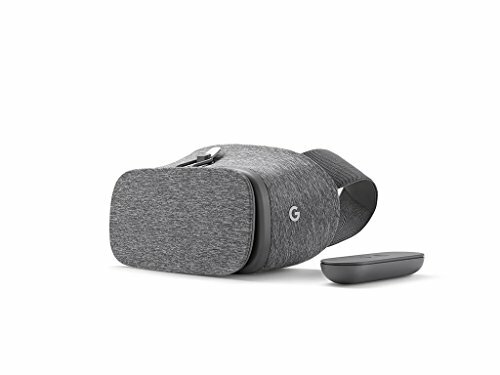 There are also several headsets designed to work with mobile phones, including the Daydream View, the Samsung Gear VR, and a wide variety of headsets compatible with Google's Cardboard platform. The Cardboard headsets — most of which are not actually made of cardboard, though a few are -- work both on Android and iPhones. 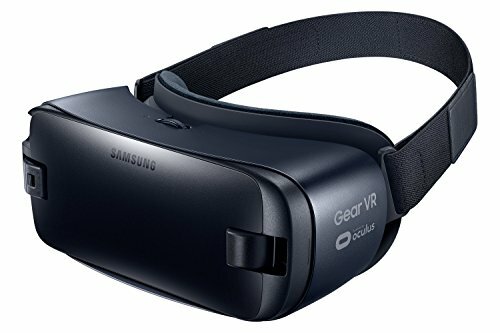 The Gear VR only works with late-model Samsung phones. The Daydream View works with a variety of late-model Android phones. Let's look at the questions you have plus a few others, to see which VR headset is right for you. Tethered headsets, which include the Oculus Rift, the Vive, and the Playstation VR, connect to a PC or gaming console. The headsets themselves cost hundreds of dollars because they include custom display screens, motion sensors and lenses, and you may have to invest in new computer hardware as well. These headsets are particularly good for high-end gaming. Mobile headsets like the Gear VR, Daydream View, and Google Cardboard are cases where you put a smartphone. Since the only really critical part of these headsets are the lenses, they can be very lightweight and inexpensive — the vast majority cost under $100, and some cost less than $10. Plus, these headsets are completely wireless. Instead of being leashed to a PC or console, the mobile headset can be taken on a plane or train, for example. 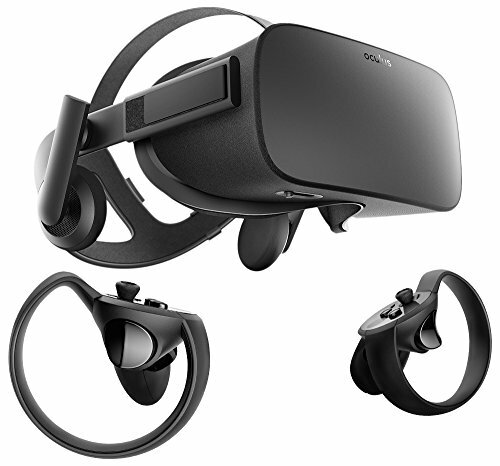 If you are an early adopter of technology, have a big budget, and enjoy playing high-end games, then a tethered headset will offer you the most realistic, immersive, awe-inspiring virtual reality experience on the market today. If you prefer casual games, watching traditional videos on a giant private screen, getting immersed in 360-degree panoramic photos and videos and taking virtual tours, then a mobile headset may be more than adequate. Plus, both the smartphones and the headsets are getting much better, very quickly -- and the low prices mean that trading up to a newer headset won't break the bank. This year, with the Oculus Go, buyers had a third option — the all-in-one headset. This device does not require a PC, nor a gaming console or phone. Just pick the headset up and play. Both performance and price are halfway between the phone-based headsets and the PC-based headsets. 2. Does my PC or smartphone meet the hardware requirements? As a rule of thumb, the newer and more expensive the PC or smartphone, the better. Oculus-ready PCs, for example, start at around $1,000. There's a tool to check whether your PC is ready, near the bottom of this page, along with a list of minimum requirements. 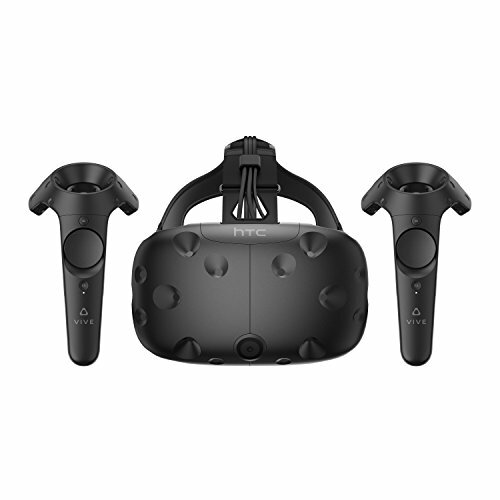 The HTC Vive has similar graphics card and processor requirements as the Rift, but needs 4GB of RAM instead of 8GB, and one USB 2.0 port instead of two USB 3.0 ports. The Sony PlayStation VR requires the Sony PlayStation 4 gaming console. On the mobile side, Samsung Gear VR only works with a limited selection of late-model Samsung phones, including Galaxy Note9, S9, S9+, Note8, S8, S8+, S7, S7 edge, Note5, S6 edge+, S6, S6 edge, A8 Star, A8, and A8+. Daydream View is supported by a variety of phone manufacturers, including Google itself with its Pixel phone, as well as Samsung, LG, Motorola and others. Google Cardboard headsets are typically the most flexible, and are compatible with most late-model iPhones, Android phones and Windows phones. The main concern here is the screen size — check before buying whether your phone fits within the range of supported screen sizes. Also make sure that your phone has a built-in motion sensor. Some very old smartphones don't have one, and can't be used for VR. In addition to the cost of the PC or console, expect to pay around $800 for the HTC Vive, $400 for the Oculus Rift, and $300 for the PlayStation VR. The Oculus Go is around $200. The Oculus Quest is expected to cost around $400 when it ships next year. The mobile-based headsets typically run under $100, with the low-end Cardboard sets at $10 or less. You can get most of these on Amazon or from other major retailers. 4. What is the headset's field of view? The field of view is the size of the picture that you see when you put on the headset. A narrow field of view will make you feel as though you're looking through a diving mask, while a wide field of view lets you immerse yourself more fully in the environment. The Vive and the Rift both have a field of view of 110 degrees. The Oculus Go is about 100 degrees. The Samsung Gear VR has a field of view of 96 degrees, and the Daydream View is 90 degrees. Google Cardboard headsets typically have a field of view ranging between 90 and 120. Some of the cheaper headsets made in China are designed for watching movies on private screens on lower-end phones, and to compensate for the phones' low-quality screens, they have a narrower field of view. If you plan to use your viewer for immersive games and videos, or if you have a phone with a nice big screen and high resolution, avoid these headsets. 5. How much does it weigh? In general, you want the headset to be as light as possible. Otherwise, it can get really tiring if you plan to use it for any length of time. But shape and straps also play a factor -- some heavier headsets distribute their weight so that they feel lighter, while other headsets seem to have their entire weight cutting into your nose. In addition, people vary -- what fits well on one person may be painfully uncomfortable to another. However, a headset that is too light can also be a problem. Viewers made out of cardboard and foldable viewers that clip to your phone are both super light, but you have to hold them up in front of your face since they're too flimsy to attach straps to. The HTC Vive and the Oculus Rift are both on the heavy side, at about a pound, since they have electronics and built-in video screens. The Playstation VR is even heavier. And that's before you count in all the cables. The mobile headsets are lighter. The Samsung Gear VR weighs 12 ounces and the Daydream VR is less than 8 ounces. But you have to remember to add the weight of your phone to the mobile headset. A Pixel smartphone, for example, weighs 5 ounces. Some Cardboard-compatible headsets weigh an ounce or less, but they are more typically in the 10 to 15 ounce range. The Oculus Go weighs about 16 ounces, roughly the same as the Gear VR and the Daydream View once you add in the weight of the phone. 6. Does it have a Google Cardboard QR Code? This question only applies to Google Cardboard-compatible headsets. But since most people get one of these, it's an important question to ask. A Google Cardboard QR Code tells your phone some critical details about the viewer, such as how curved the lenses are and how far away they are. Without the right QR Code, the image will be distorted. And if there's anything guaranteed to give you motion sickness, it's a blurry view. However, some manufacturers, due to laziness or an evil plan to force you to use only their own apps, don't have a QR Code for their headset. Before buying it, Google the name of your headset and the phrase "Google Cardboard QR Code" to see if there's one out there. It should look like a standard square QR Code, except with the outline of a VR headset in the center. If the headset comes with a QR Code, or if one is available online, that means that you will be able to watch YouTube videos in virtual reality, and play the thousands of VR games in the app stores. 7. Does the headset fits over glasses? If you happen to wear glasses, not being able to use them with your headset could be a potential deal-breaker. The Oculus, Vive, and PlayStation VR all fit over my glasses, but it could be a tight fit depending on the size of your particular set of glasses. The Gear VR fits comfortably over glasses, and the Daydream View fits but it can be a tight fit. When it comes to Google Cardboard-compatible headsets, it seems to be about fifty-fifty. The Mattel View-Master VR has too narrow an opening, but the Baofeng Mojing 3 is nice and wide. As an alternative, if you wear glasses, you might also want to check if the lenses on the headsets are adjustable, instead. 8. Is the headset ready for augmented reality? While virtual reality takes you to a totally different place, augmented reality starts with the world around you, and adds stuff on top of it. Typically, this is accomplished by having a camera on the outside of the headset — or, in the case of mobile-based headsets, allowing the phone's own real camera to look out. With the high-end headsets, you will need special add-ons to get augmented reality. Daydream View doesn't currently support augmented reality at all and neither does the Oculus Go. But Google Cardboard headsets often do. All you need is an outside cover that lets the phone's built-in camera see out. 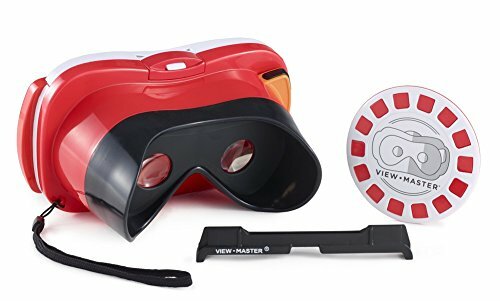 The View-Master VR cover is translucent, for example, and the device actually comes with an augmented reality application. Other headsets, such as the Merge VR and some of the cardboard viewers have a cut-out window that allows the phone's camera to see out. 9. How do I control it? The HTC Vive currently has the best control system on the market. With external sensors that you put up around your room and motion-sensitive controllers, it actually lets you walk around inside a virtual environment and interact with it. The Oculus Rift is a close second, with two hand-held motion controllers, but it isn't designed so much for moving around. The PlayStation VR is also typically designed for games that you play while sitting or standing in one place. The Oculus Go has a single motion controller, and doesn't register if you move your entire body around. The Daydream View and the Gear VR also have single motion controllers and no spacial awareness. Oculus Quest is expected to have dual motion controllers and inside-out-tracking when it launches in 2019. That means that it will know when you walk around even without having to mount external cameras on your walls, like the HTC Vive and Oculus Rift currently require. The Google Cardboard headsets have very little interactivity. The platform basically only supports one button. Some headsets, like the Mattel View-Master, have the button built in. Some come with little remote controllers, though those only work with Android phones, not iPhones. Some open-sided headsets let you touch the screen, instead, which has the same effect as pressing a button. If you have an iPhone, get a viewer that either has a built-in button or lets you touch the screen, since you won't be able to use a separate controller. However, many Cardboard-compatible apps don't require a controller at all. Videos and roller coasters, for example, are passive experiences, where you just sit back and enjoy the ride. Other apps let you interact with the environment by having you look at a particular spot until an action is triggered. 10. Can I try it out first? Unless you are extremely determined to get your new headset right away, no matter what, it may be worth it to wait a little bit and see if you can get a chance to try it out, first. For example, local virtual reality meetup groups often have demos of a variety of devices that members bring in. And, if you can travel to them, virtual reality headsets are showing up at all kinds of technology conferences. Some Best Buy stores also offer demos of their headsets. Another option is to check whether the place you're buying from offers free returns, order a couple of viewers, and pick the one that works best. 11. Should I buy one? That's a question only you can answer. VR headsets are definitely fun — they can enhance the way you play games, share photos and expand how you experience the world, whether you're an adult or a child. Today, teachers tap into VR for educational apps, and people use VR to take a look at traveling locations before booking tickets. Fitness buffs are making use of workout VR apps — and some colleges are tapping into VR and AR with their acceptance letters. 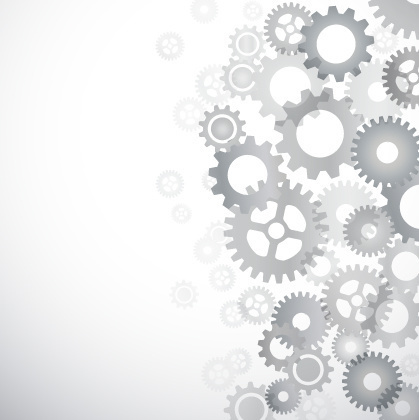 One thing we're certain of — most people will have some experience with VR in the coming years. If you want to try the technology sooner than later, our questions should help you at least hone in on which headset is the right one for you. 5 very good VR headsets to consider buying under $100.